We don’t get many details in the Gospels about the birth of Jesus of Nazareth. You would think that with all the fuss we make each year during December about a baby being born in the Middle East so many years ago that we would have more than just some sketchy details. But that’s not the case. 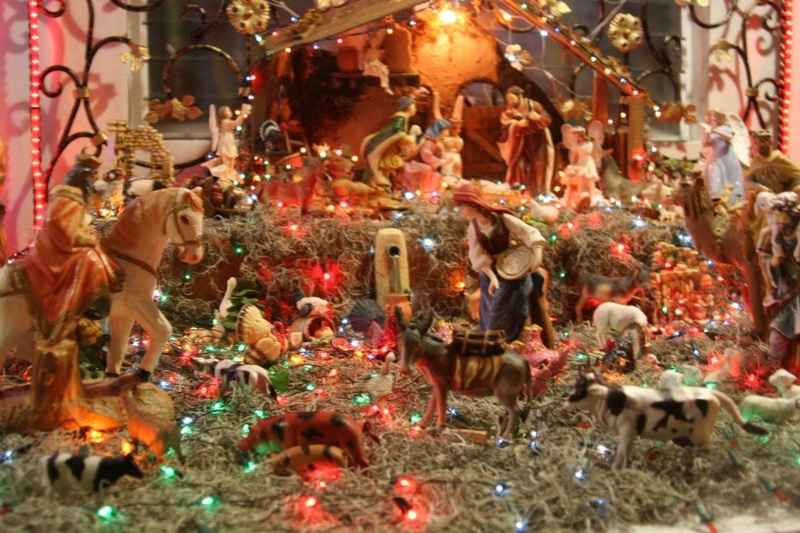 The Bible doesn’t say much at all about Jesus of Nazareth being born. Most of the Gospels focus exclusively on Jesus’ life as an adult in a short window of time [perhaps the last 3-4 years of his life]. 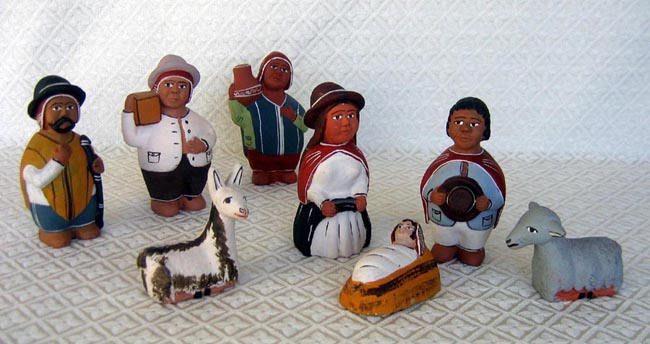 Not sure how you read or see the story of Jesus’ birth, but as for me, I think it’s much like the nativity scenes you find all around the world. 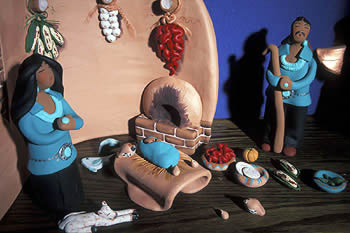 Really, there is no “standard” nativity scene. Each one includes different characters and a different setting. 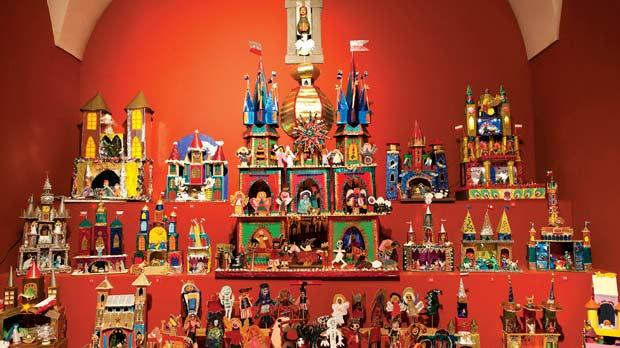 Some of the most elaborate and beautifully crafted nativities I have seen are in Mexico. I’ll start with some pictures of Mexico and then we’ll take a trip around the world. 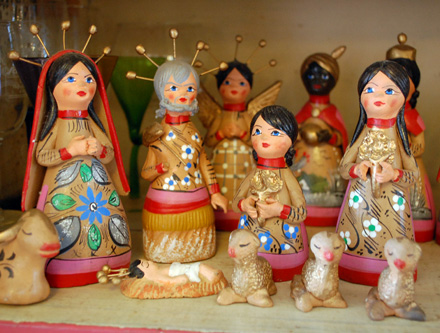 And as you can see, just as various cultures express their unique colors, clothing, and traditions in their nativities, popular culture has tried its hand at creating them, too–often with silly and strange results. 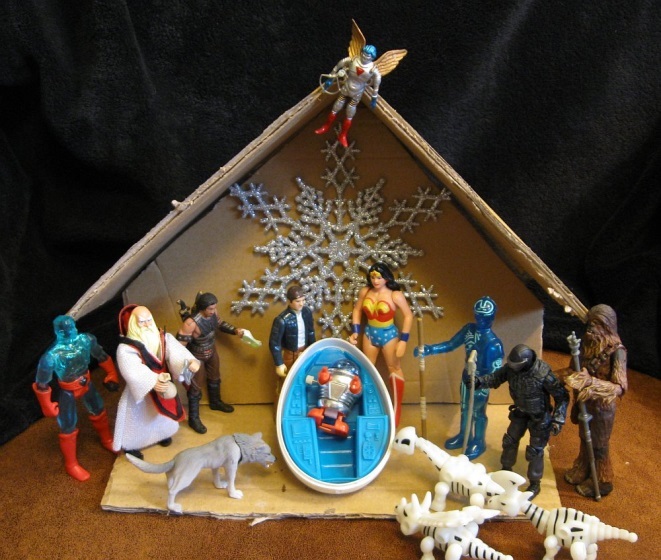 Okay, so obviously creating a nativity scene without much information requires a LOT of imagination. 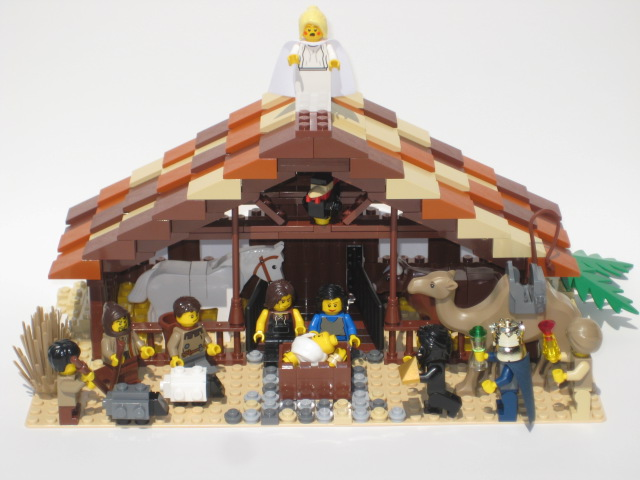 And that’s a fitting theme for the story of Jesus’ birth—imagination. Every year, people ask me why we always read the same scripture passages again and again. It’s a whole lot of Luke and then Matthew a bit when we get to those Magi. Because that’s all we have! Luke’s Gospel is the only Gospel that more extensively addresses the events before, during, and after Jesus’ birth. Like I said, Matthew touches on it and includes a new story about Magi and King Herod. Mark: zilch. John: nothing. So we will have to use our imaginations and in this particular part of the story in Luke, apparently so will Mary. Nothing is impossible with God? Says you, crazy angel who interrupted my sleep. Now of course, the story of what many call the annunciation is loaded with controversy and…imagination. Was Mary really a virgin? Does it matter? Was it really an angel or merely a dream? And what about the strange [and less talked about] connections between Mary’s pregnancy and her sister Elizabeth’s? So you can better use your imagination, let’s explore what we do know. Background: The Gospel book of Luke has just begun and we can already see brought to expression at least two major themes: an accent on the role of women, and the role of the Holy Spirit. For Luke, women drive the story and the Holy Spirit is the agent of change. Something else to keep in mind historically. In the late first century was when people started to deal with the question of when they thought Jesus became divine. 2. MARK:Later 1st century: Jesus was divine at his baptism. 3. MATTHEW/LUKE: Late 1st century: Jesus was divine at his birth. 4. JOHN: End of 1st century: Jesus was divine before the beginning of creation. Okay, so you get the idea. Long after Jesus’ birth, life, and death, people still hadn’t made up their minds about Jesus. It seems that everyone’s imagination was on a different page. But let’s get back to the actual story. Mary is the protagonist, but her name was actually Miriam. 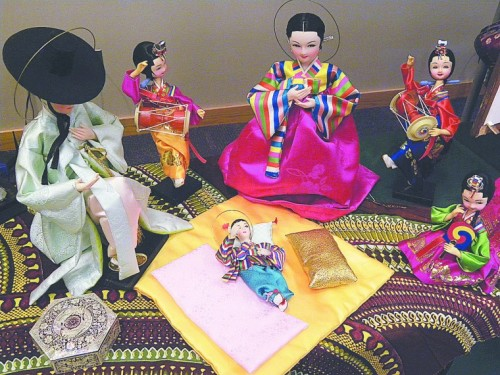 She is engaged at a young age, because marriages were typically arranged by families. Engagement was a marriage contract, passing the responsibility of caring for the woman from her father to her now betrothed [we now say fiancée]. Note: it was not unheard of for couples to live together during the said engagement period and leading up to the wedding party. Parallel to Miriam’s story is the story of Elizabeth and John the baptizer. John is the fulfillment of the Law [or the Old Testament promises]. His mother, Elizabeth, was old when she became pregnant with him and so it was unexpected, just like it was in the stories of Hannah and Sarah from the Hebrew Scriptures. Elizabeth is filled with the Holy Spirit. She, Zechariah, and John represent the old age. Contrarily, Miriam, Jesus’ mother, is of course very young. She is also filled with the Holy Spirit and her pregnancy is a surprise. But she and Jesus represent a new age. One last thing to keep in mind: the author [or authors] of Luke also wrote the book of Acts. In Acts, Miriam is with the disciples and Jesus’ brothers, after the resurrection of Jesus and just after his ascension. So Miriam [Mary] was present at the birth of Jesus, at his death, and also at the birth of the church. What are you imagining now? Anything new? I think an active imagination is important and also wonderful—as long as your active imagination is not pushed on others. You see, all of us may look at these stories quite differently and this is okay. But we should not go around pushing our imaginative interpretation on other people. We need to recognize that like each character in the story and each author of the Gospels, we all interpret things differently. 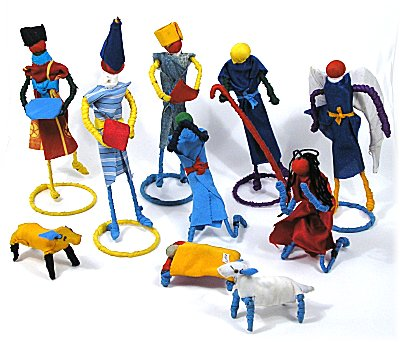 I think there is always room for another figure or tree or animal or something in the nativity scene. Likewise, there is always room for more interpretation and unique perspectives in the scripture story. And so today I find myself reading and imagining the story of Elizabeth and Mary and John and Jesus in a different way. How can an old, ambiguous story from a land far away matter in my life? Or, why am I here on this earth? And, when crazy and upsetting surprises happen in my life, how can this be? Hopefully, you have some questions, too. And while many of our questions will remain unanswered, what I hear and imagine the story saying right now is less about what we believe or how we were born and raised or what culture we live in or what circumstances have been handed to us. I hear the story saying that the answer is love. What if love is the answer to most of our questions about life, the world, and ourselves? 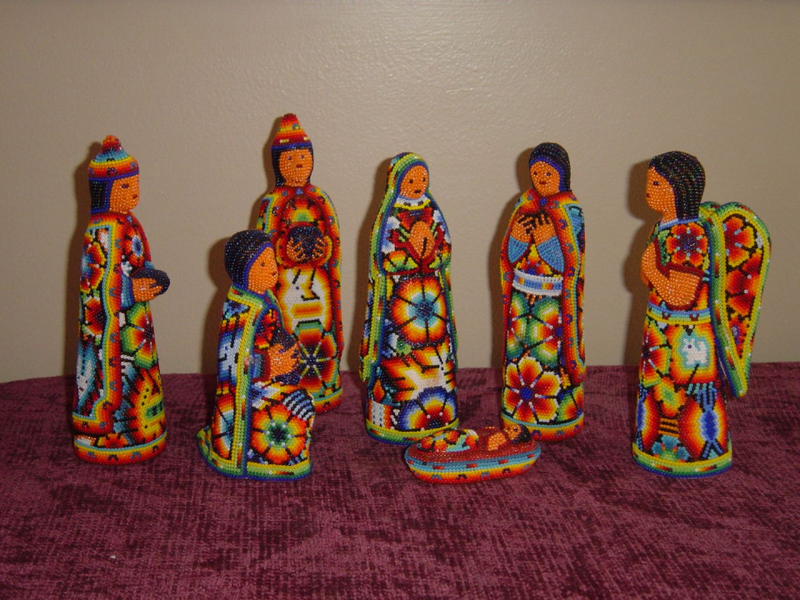 What if this story about Jesus of Nazareth and Mary and Elizabeth is more about our commitment to love and about what we commit ourselves to be and do? I challenge you to keep asking questions—especially the most difficult ones. But don’t look for cookie cutter answers. Instead, answer the questions yourself with love. The questions in your hearts like why are we here and where do we go and how come it’s so hard? Commit yourself to that answer. Borg and Crossan. See The First Christmas, pp. 113ff.